Unprogrammed or semi-programmed – what's your leading? 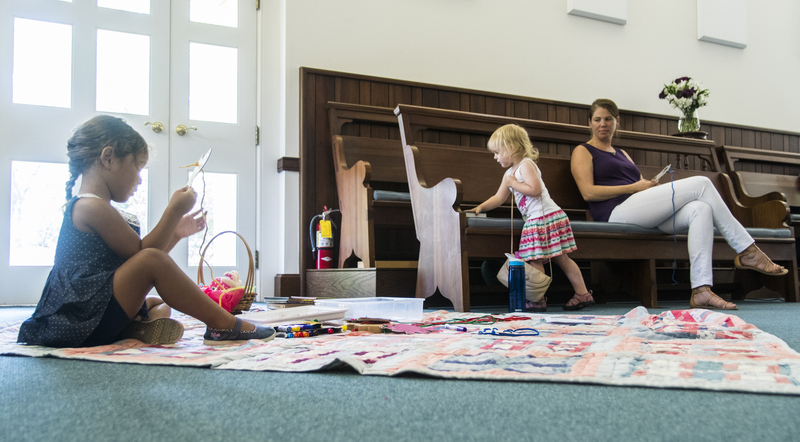 Friends settle into silence in the Worship Room. If anyone feels led by the Inward Spirit, they may share a brief message. The gathered community practices listening attentively and respectfully. The community allows silence to return after a message is shared and awaits the next spoken message to break the silence. Sometimes the most meaningful Meetings for Worship are those when the silence is unbroken. Friends gather in the Worship Room, where the pastoral minister opens Meeting for Worship with a greeting. Announcements are next, followed by singing a communal hymn. Next is a reading, sometimes from the Bible and sometimes from another inspirational source. The New Garden choir may sing, or there may be special music by members of the congregation or a guest. Ushers take up an offering, and after a brief period of settling silence, the pastoral minister or a guest speaker will share a prepared message. The last 20 to 30 minutes of the 11 a.m. service is silent waiting worship. Listen to previous prepared messages (sermons) on the Media page. Quakers traditionally worshiped in silence, with no prepared sermon, or message, and no music. Individuals sometimes are led to break the silence and share a brief message. Among Friends, this often is referred to as “unprogrammed worship” or “waiting worship.” Waiting, silent worship can be a deeply calming, moving and spiritual experience. Friends who prefer unprogrammed worship will find it at New Garden Friends Meeting. 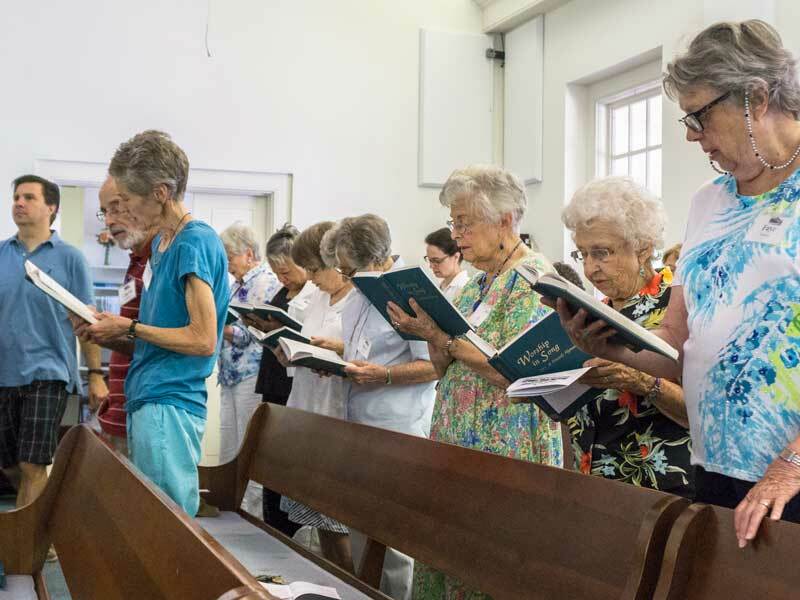 Other Quaker communities gather for worship that includes music, readings, and a prepared message in addition to a period of silence. Friends who prefer this form of worship, called “semi-programmed worship,” also will find it at New Garden Friends Meeting. In the silence – whether during a full hour of unprogrammed worship or a briefer period during semiprogrammed worship – Friends open their hearts and minds to the leadings of the Spirit. Worship at New Garden Friends Meeting, whether unprogrammed or semi-programmed, is relaxed, welcoming, and inclusive. We center our worship on the richness of the silence and the leadings of the Spirit (understood by some as the Living Christ and by others as the Spirit of Love). In worship we wonder, seek, and laugh together. At the close of worship (traditionally referred to as the “rise of worship”), we leave often feeling deeply refreshed and spiritually grounded.